This week I have decided it is time to start pulling out all my fall decorations. The weather has starting cooling off and I have been seeing some fabulous inspirations thru out blogland. Today I wanted to share some of our previous fall mantles. It is always fun to see how we change things up year after year. This is our mantle back in 2008 when we were living in Baton Rouge. It was before I knew that the flash on your camera was a big no no because it washes out your pics. In 2009 we moved back to Tx and I did not decorate for fall. I was more concerned about painting the walls and what not. Here is our mantle in 2010. I had already painted the mantle itself. It was before we ripped out the flooring and granite tiles. 2011 I went a little crazy The Hubster said. It is one of my favorite mantles thus far. Now I am brainstorming to see what I can come up with this year. I am still hoping The Hubster will give in and let me change up that mirror! 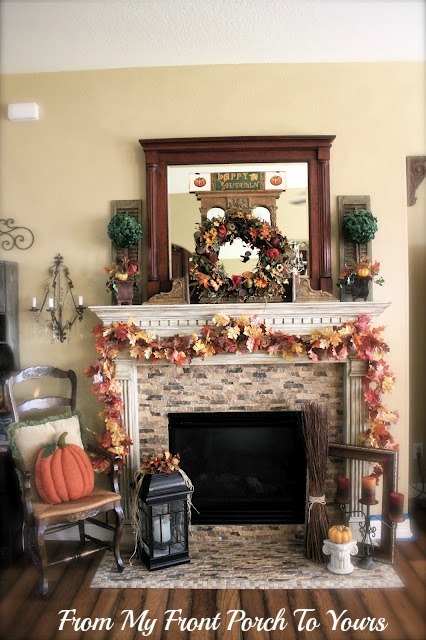 Do you change your mantle up every year or does it stay the same? My mantle gets changed for Fall and Christmas, but I haven't come up with a plan for this year yet! Loved seeing the changes of yours and can't wait to see what this years is going to look like! I know it will be fabulous! Your mantles are beautiful. I change 'em up every year...I would get board with having the same display every year! Can't wait to see what you come up with for this fall Pamela!!! 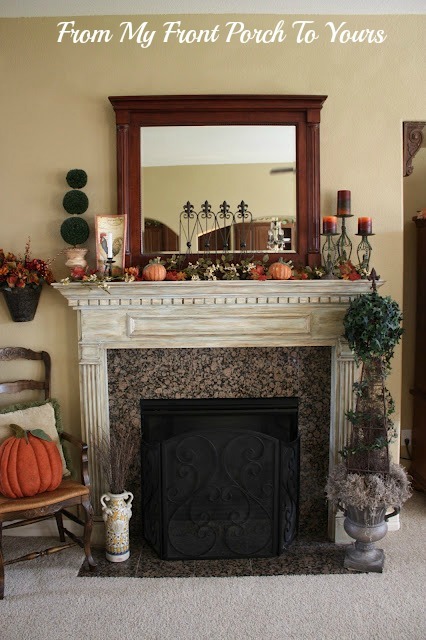 How fun to go back and see all of your mantel changes! I'm excited to see what you do this year! 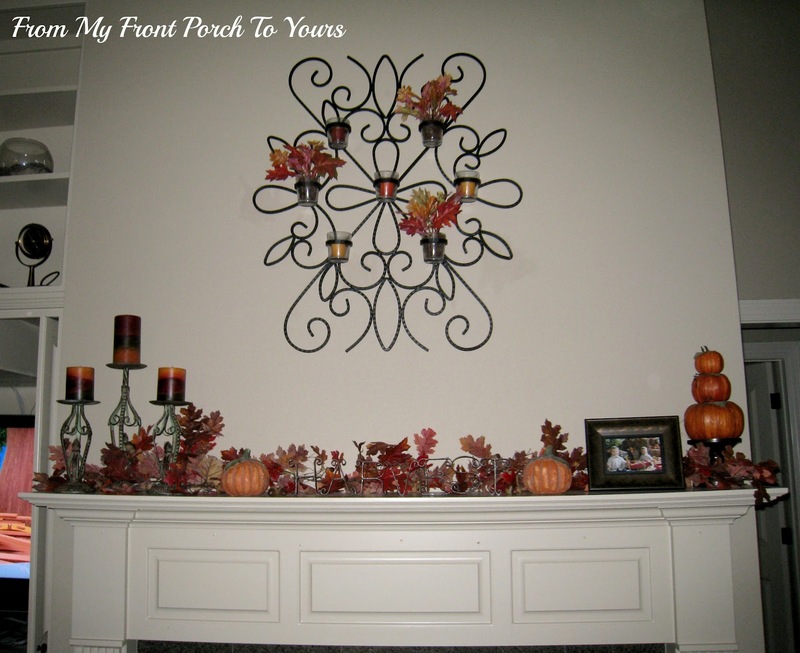 You had some wonderful looking mantels over the years, Pamela! Lots of inspiration here. My mantel here is not very big, so I only add a few things in to my regular decor. I love the fall decor... but what is really amazing are the great changes in your mantle and surround! Your transformation is beautiful!!! It's fun to see your mantels from years past. I can never remember what I did the year before, so each season tends to be different from year to year. Now that I'm blogging I'll be able to look back. Pamela, you mantels are lovely! I do find it difficult to change them each year. I try to use what I have because it gets so difficult to store all new items. I love each one; you have some amazing ideas! Do you *really* want me to answer if I change our mantel every year? LOL It's fun seeing how yours has changed ... I love your mantel from last year (one of my faves, too)! Now, hurry up and finish this year's so that we can see! Can't wait to see what you come up with this year. Your mantels are always interesting and beautiful! So far mine looks the same as it did this time last year but I'm think I'm going change it up this year! Thanks for sharing your Fall pics! Love, love all your mantle decor! Beautiful inspiration! Mine looks pretty different. I already wrote a post on it, that is scheduled in the coming weeks. I love the distressing you did on your mantle. One person's "a little crazy" is another person's "just right!" :) I love all your past mantels, but last year's is just right! 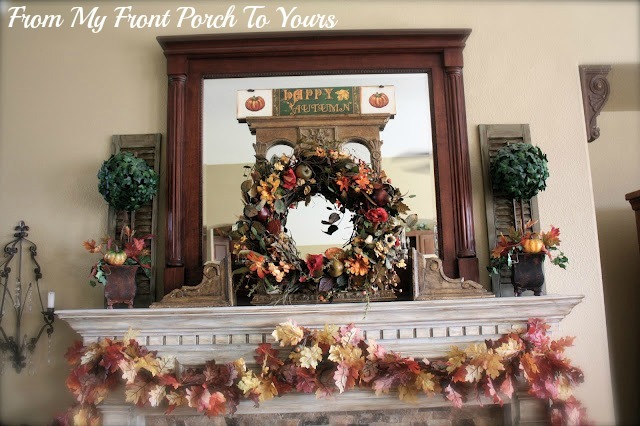 Loved seeing all of your gorgeous mantels thru the years...since I just started blogging last Christmas I have not seen many of the fall posts...So what a treat to see all of yours in one post! !...Have a wonderful weekend!! 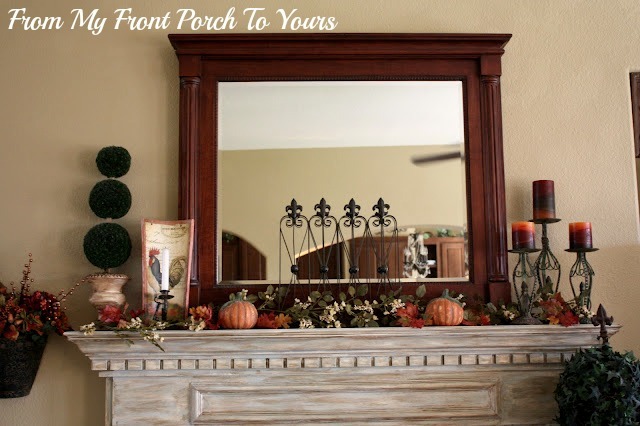 Your mantel is amazing! I love the colors and the mirror! What a great display! PS I change my mantel every year! Isn't it just amazing how you think that what you are decorating at the time is to die for and it couldn't get any better? Well your's have and they didn't need it! All of your mantels have been gorgeous!